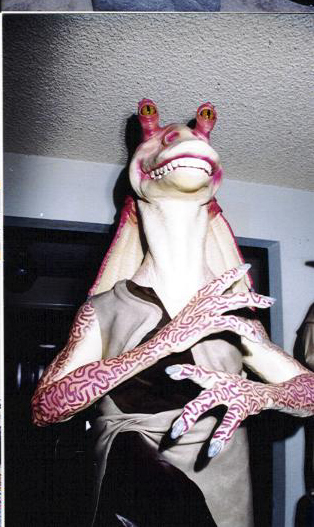 This is my original life size Jar Jar Binks. I payed $15,000 in auction for this beauty. This is a one of a kind Life Size original of the greatest Star Wars character ever! This was George Lucas's best idea ever to add Jar Jar Binks to this great series!